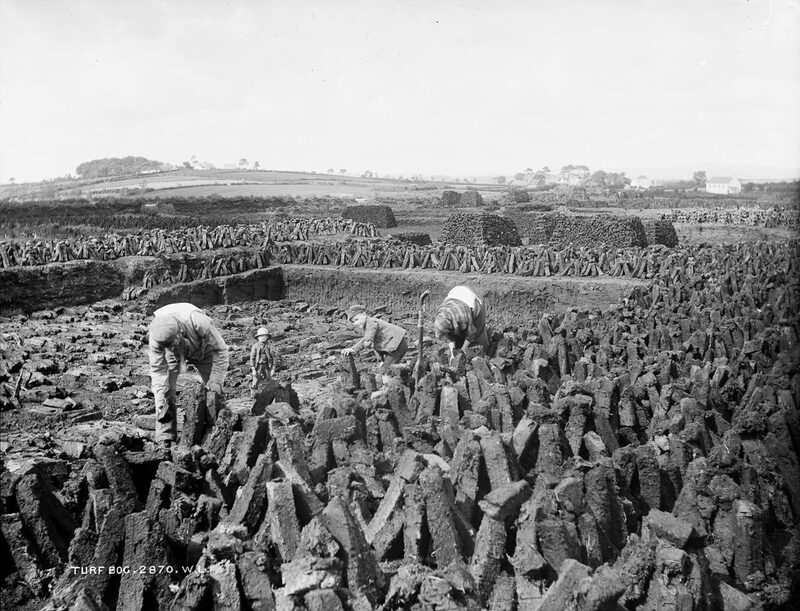 Ireland in the late 19th Century was all boulders, rocks, pigs, plus fours, mud and stoicism. 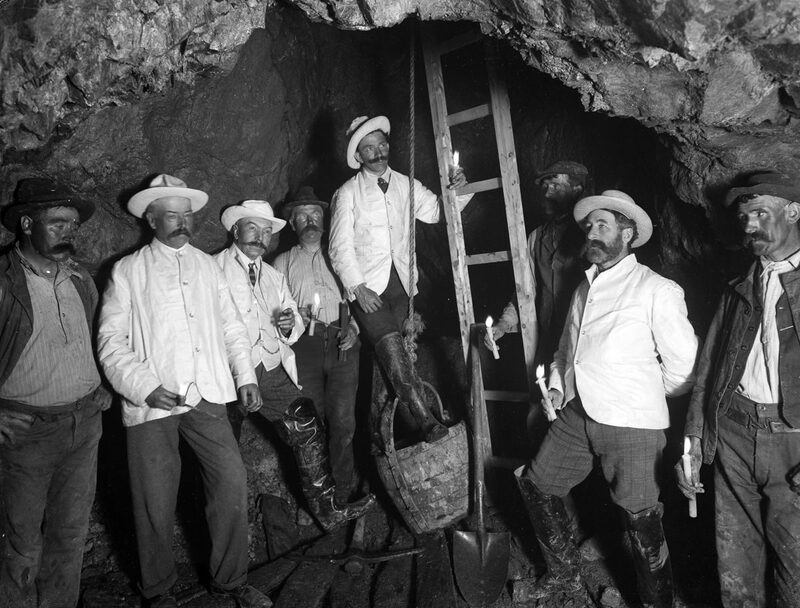 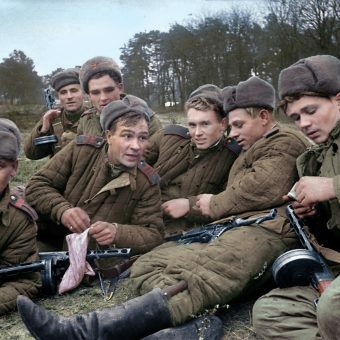 Well, it is if these photographs of the period are our guide. 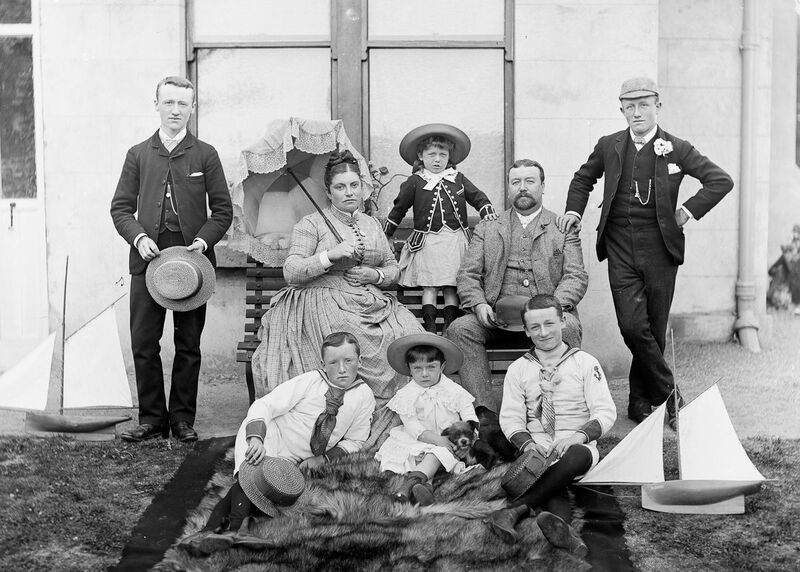 For people of great wit, anecdote and gab, the subjects look remarkably glum. 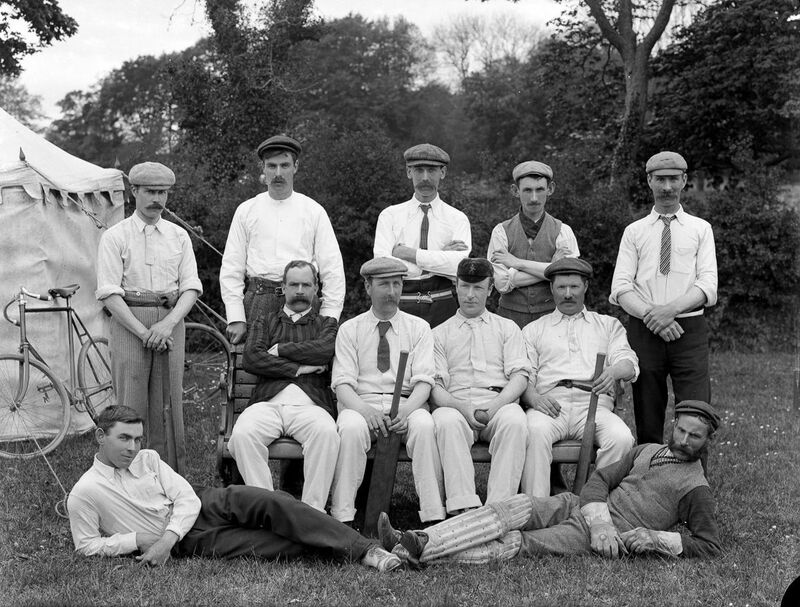 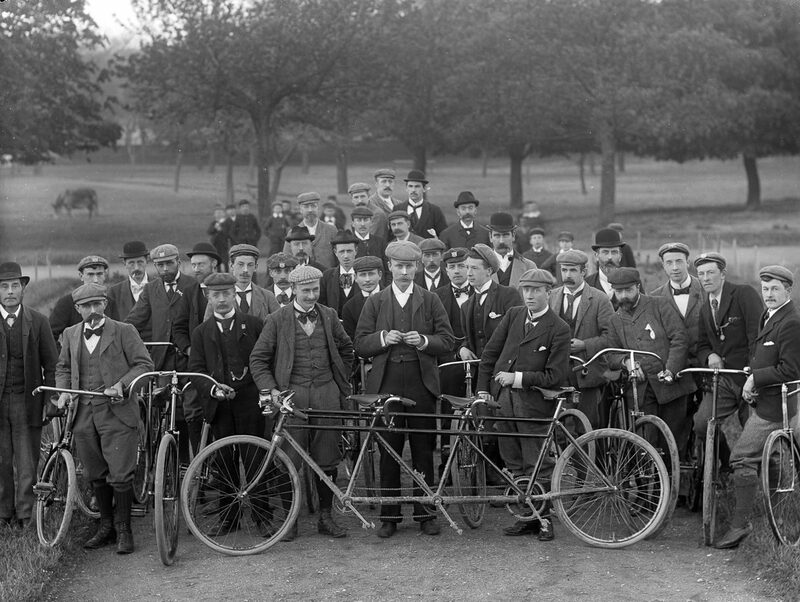 You can detect a hint of merriment in the eyes of the cricket team, one or two of the lifeboat men are chipper and a member of the Waterford bicycle club is breaking ranks with an insouciant smirk. 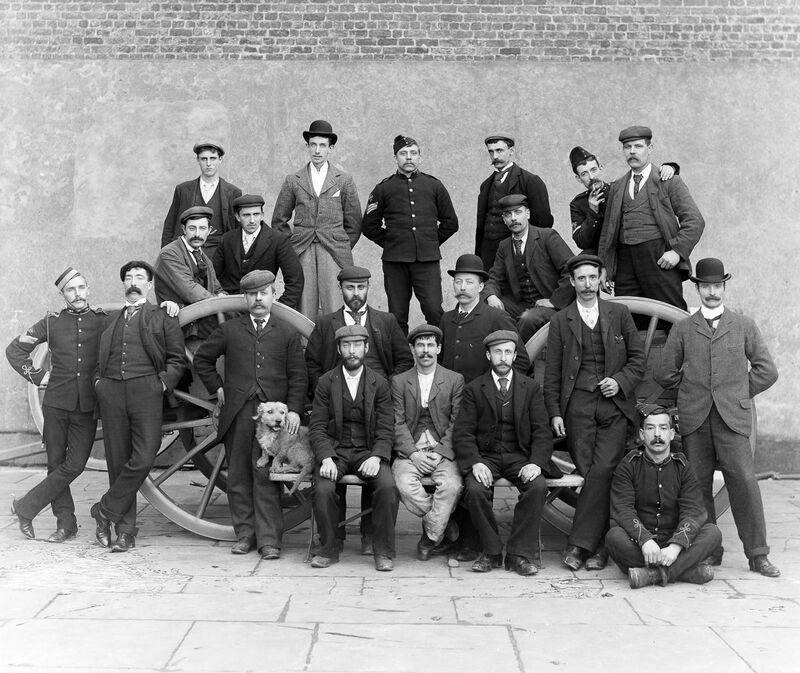 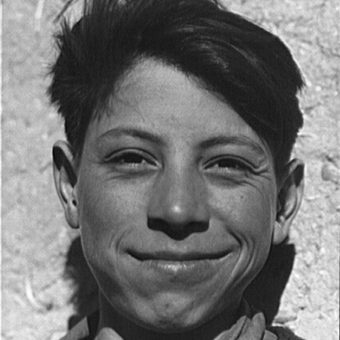 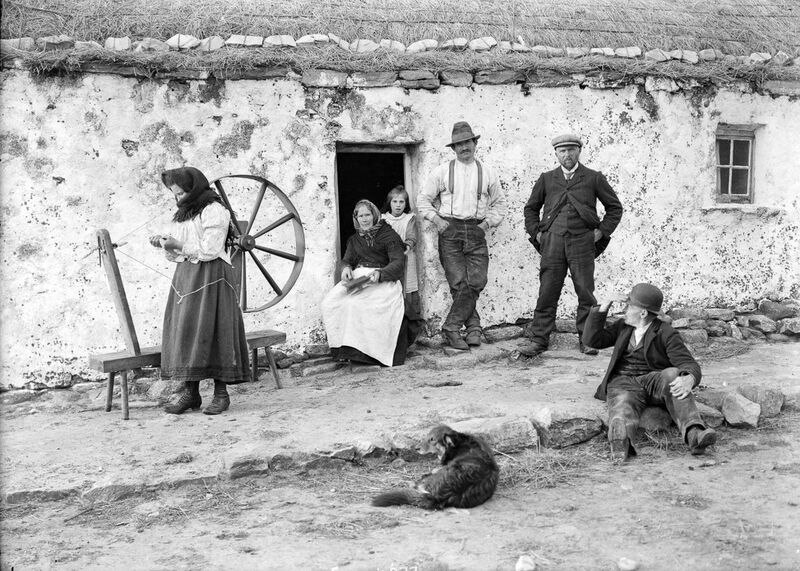 But either the photographer waited for his sitters to grow bored and sullen before capturing the moment for whatever agenda was being pushed – a clear association of people and the rugged milieu; an Irishman’s mien as grey as the skies and rocks – or else he got them all on a bad day. 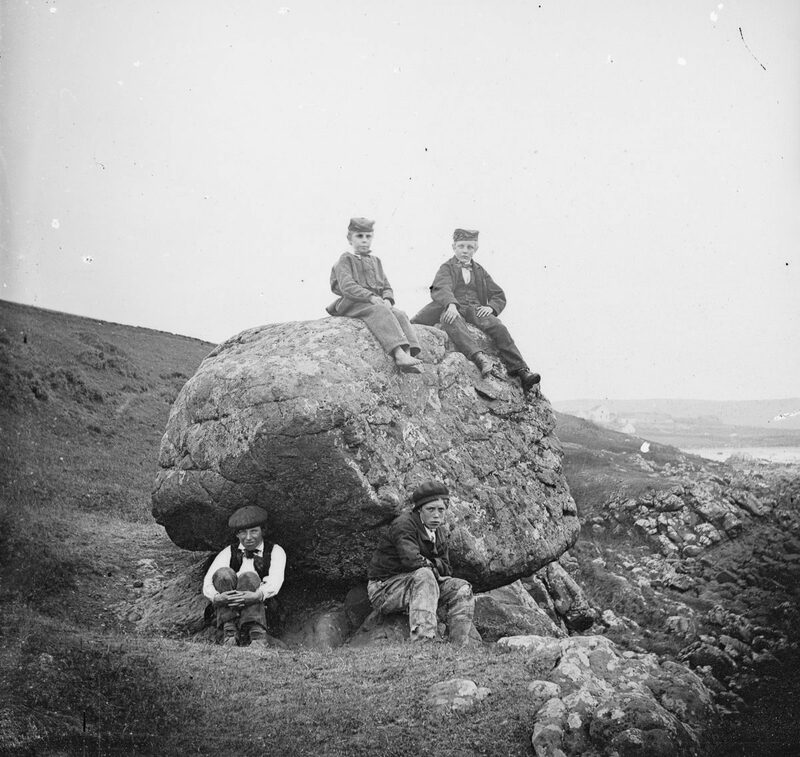 In many of these images, it’s the little things that stand out and make them memorable. 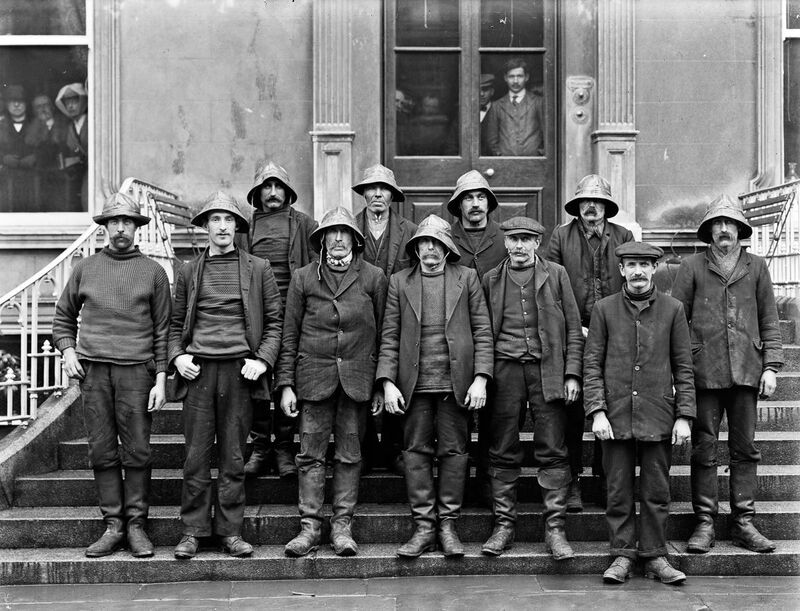 Two ancients underscored with the caption ‘Mother and Son” is sardony manifest; the age of the “girls of the Ursuline Convent” and how one of them (third from left) appears to leave and arrive all at once; the haughty, top hatted gent stood overlook a man digging a moat in Ballymena; the medical student presenting the skeleton as a threat; three women who have hit rock bottom, literally, selling good fortune from the ‘wishing chair’; and the blurb of movement as men continue to work. 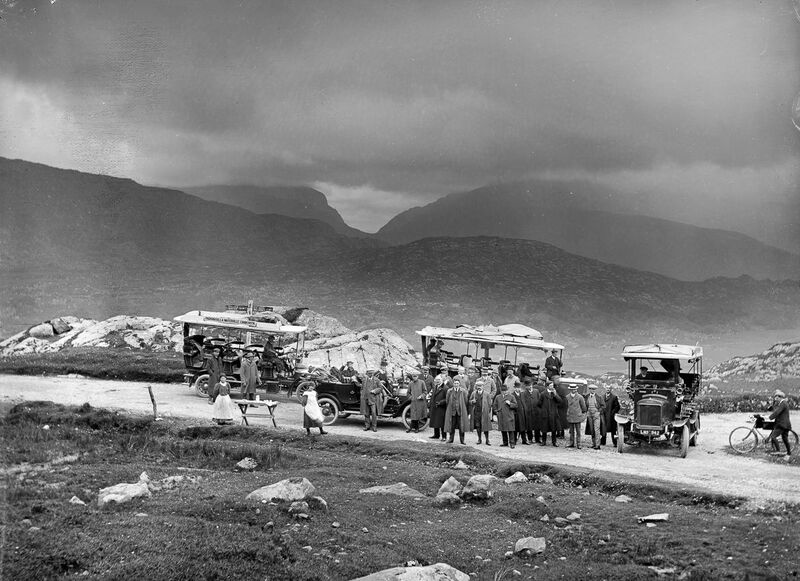 c. 1910 – Moll’s Gap, Kerry. 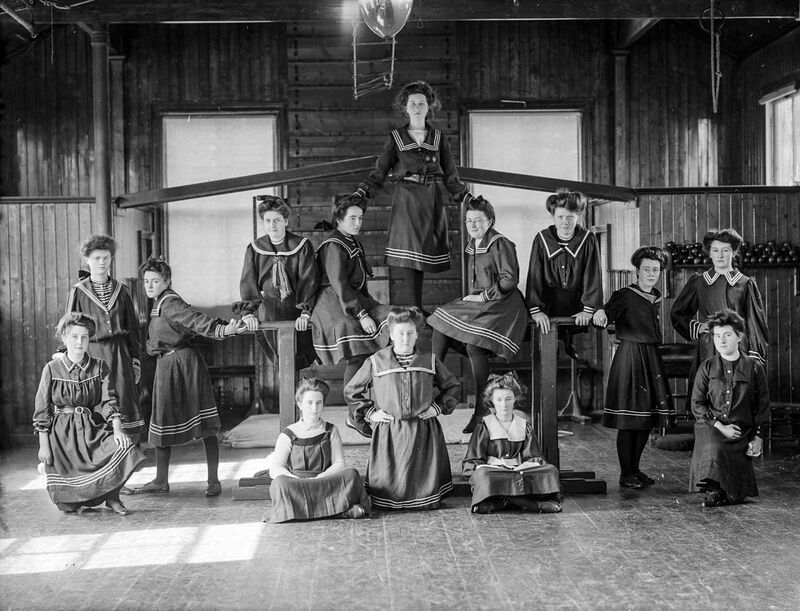 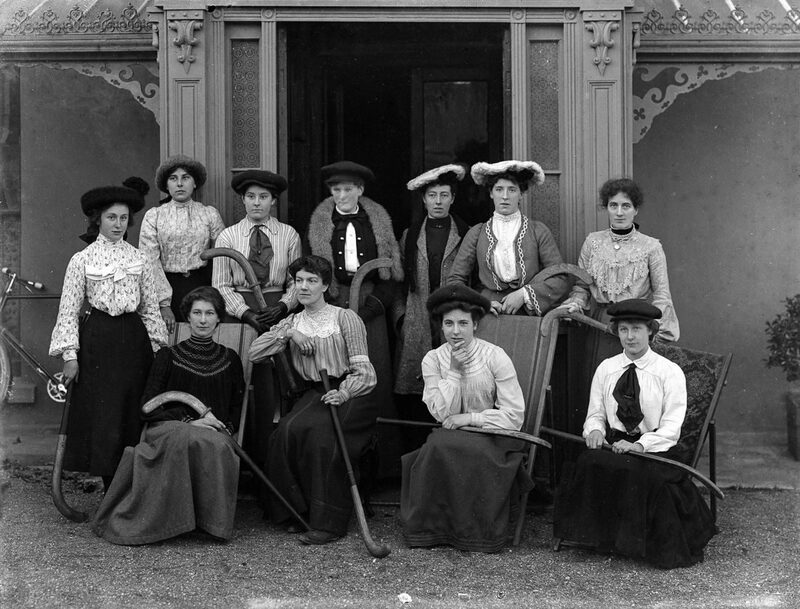 1908 Girls of the Ursuline Convent in Waterford pose in their gymnasium. 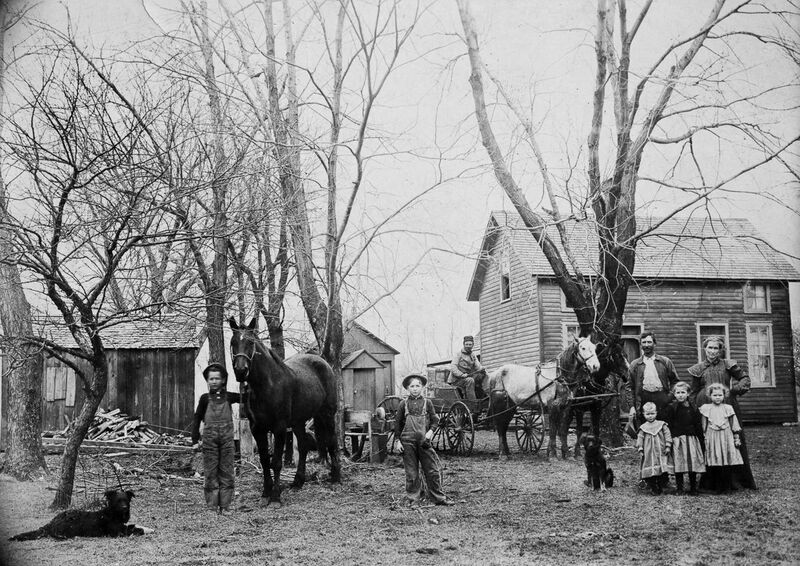 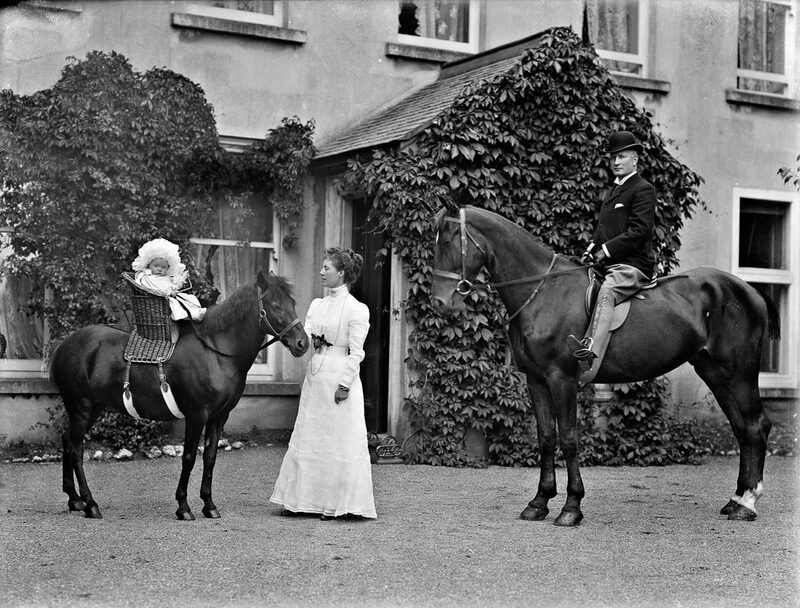 c. 1885 The Fannings of Waterford. 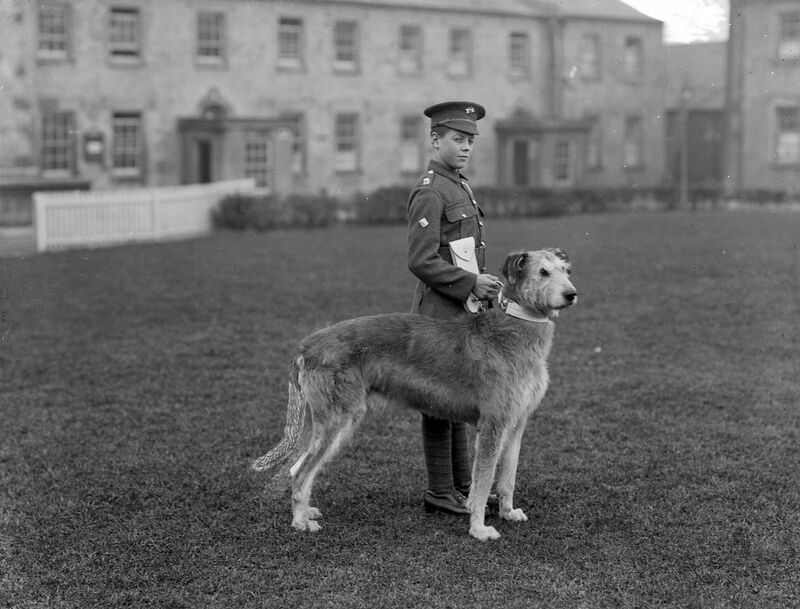 1917 A young member of the Irish Guards at Waterford Barracks with the regiment’s mascot, an Irish Wolfhound. 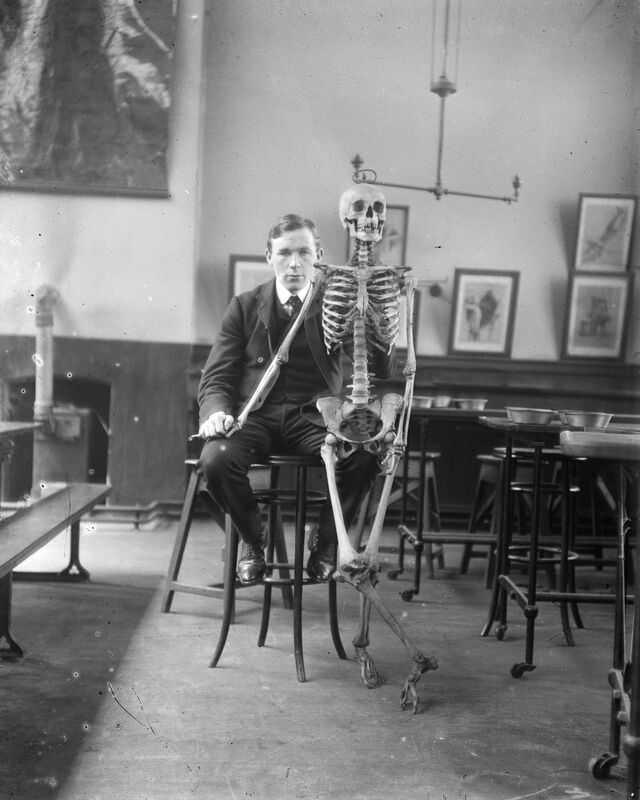 c. 1900 Medical student John Joseph Clarke. 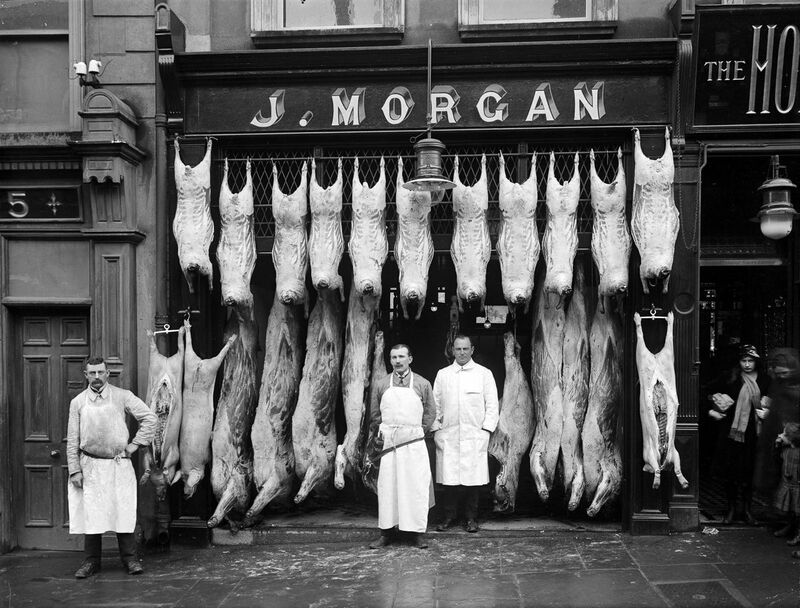 J. Morgan’s butcher shop on Broad Street, Waterford. 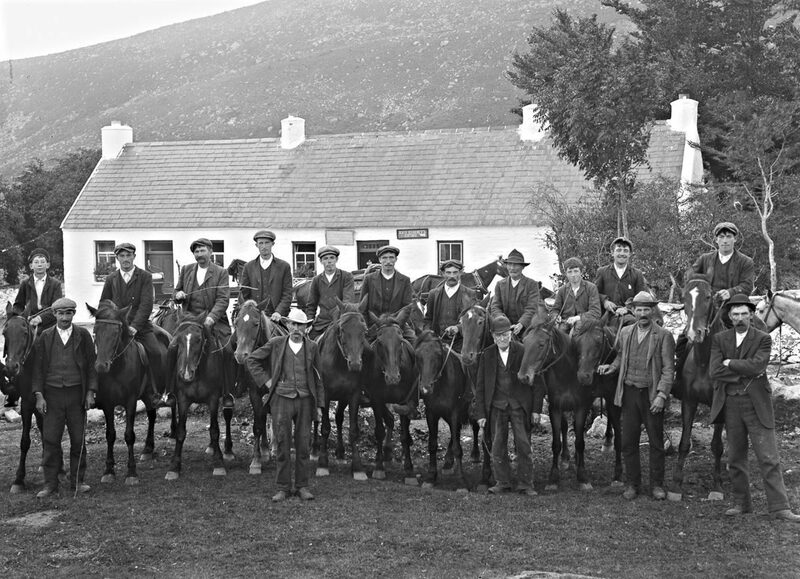 c. 1900 Men on horseback in front of Kate Kearney’s Cottage in Kerry. 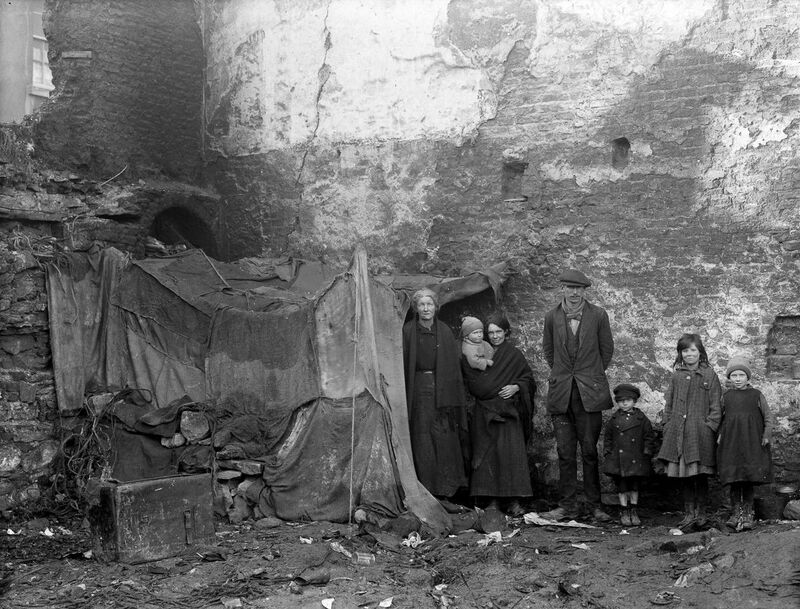 1924 Three generations of a family pose beside their home at Alexander Street, Waterford. 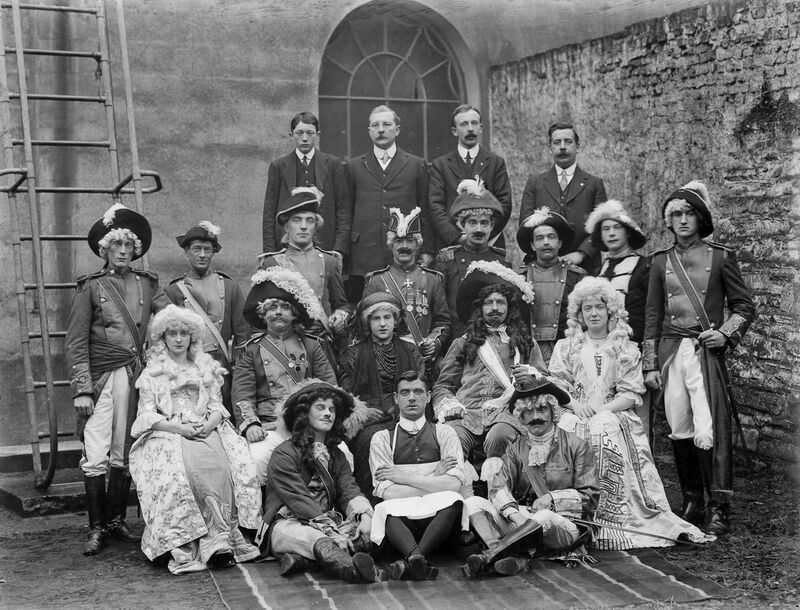 1914 People in costume at the Theatre Royal in Waterford. 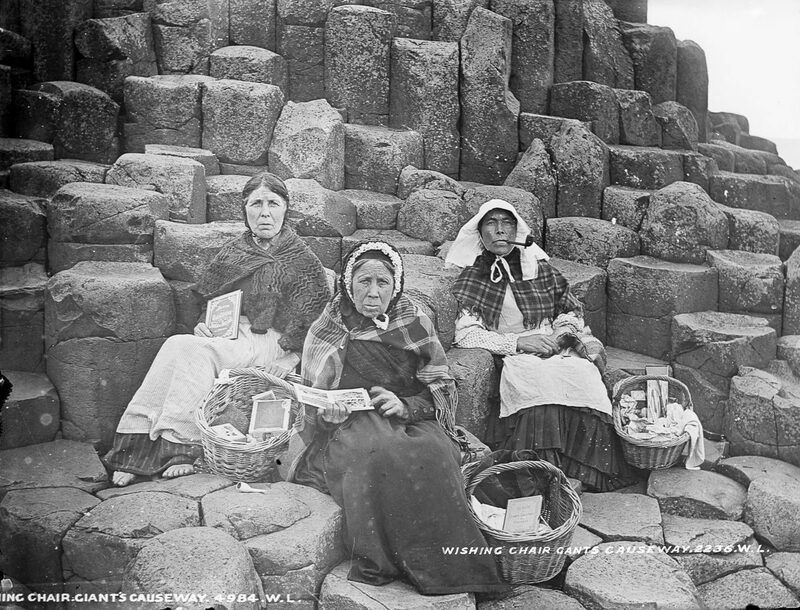 c. 1900 Women sell tourist trinkets and books on Fionn Mac Cumhaill’s Wishing Chair at the Giant’s Causeway, County Antrim. 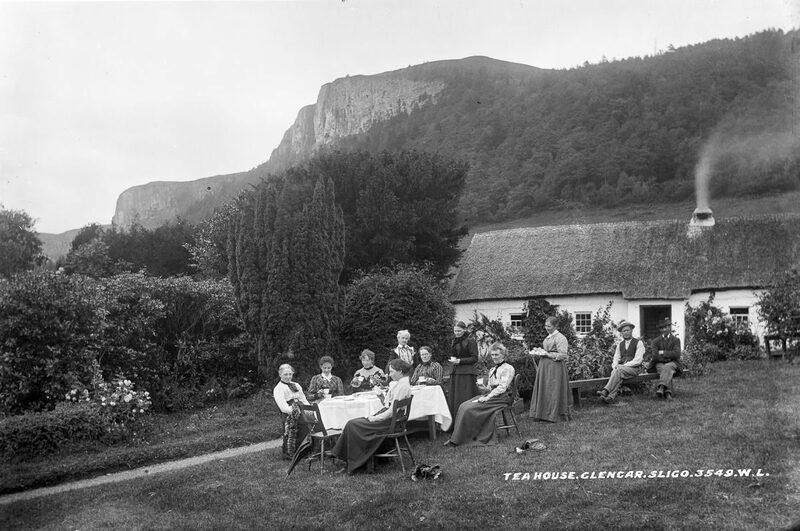 c. 1900 The Glencar Tea House in County Leitrim. 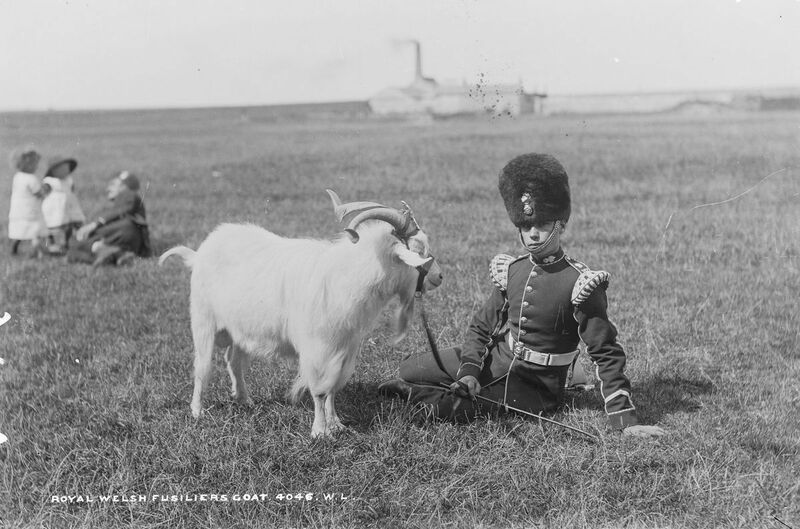 c. 1887 A Royal Welsh Fusilier with the Regimental Goat, and his strap-on crest. 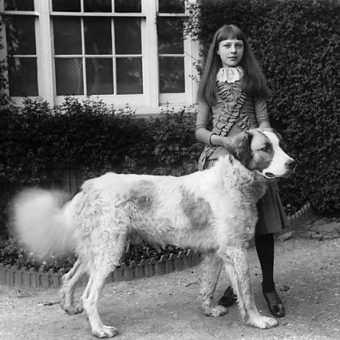 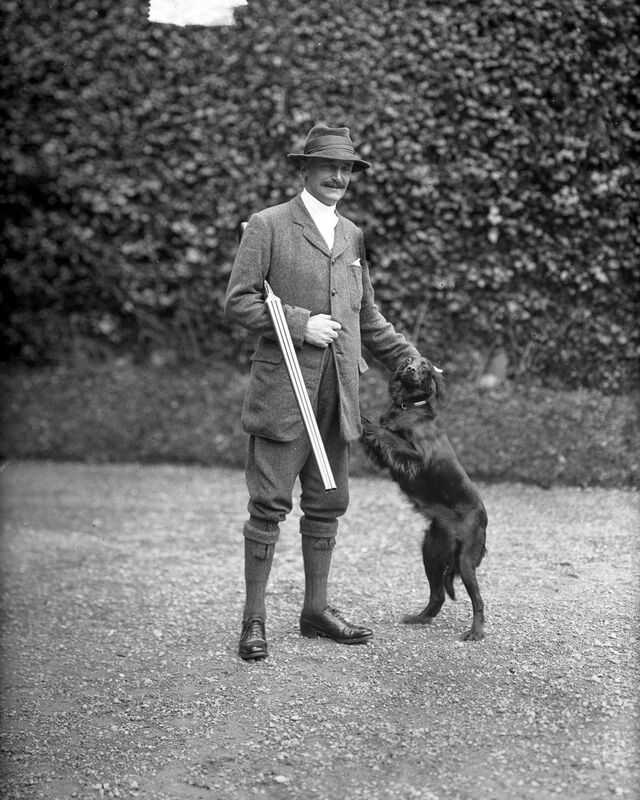 1913 Sir Hercules Robert Langrishe, 5th Baronet Langrishe and his dog. 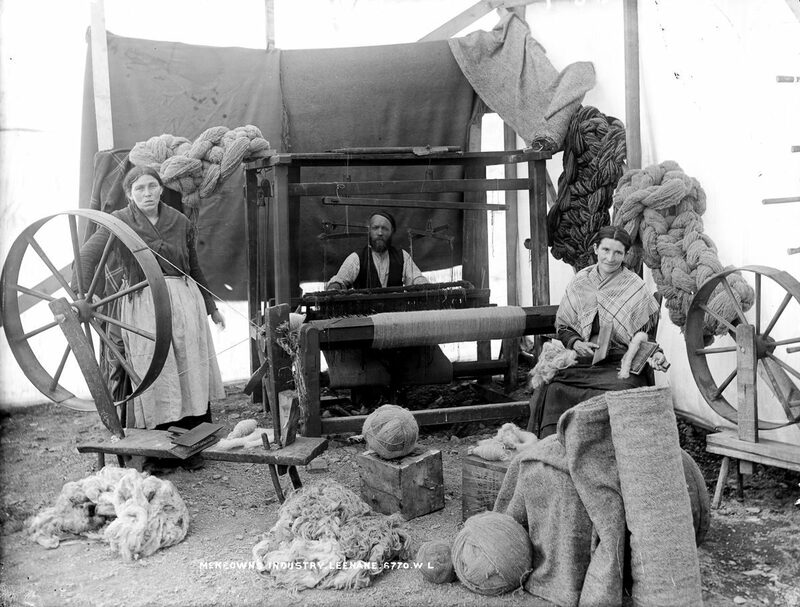 c. 1910 A wool operation in Leenane, County Galway. 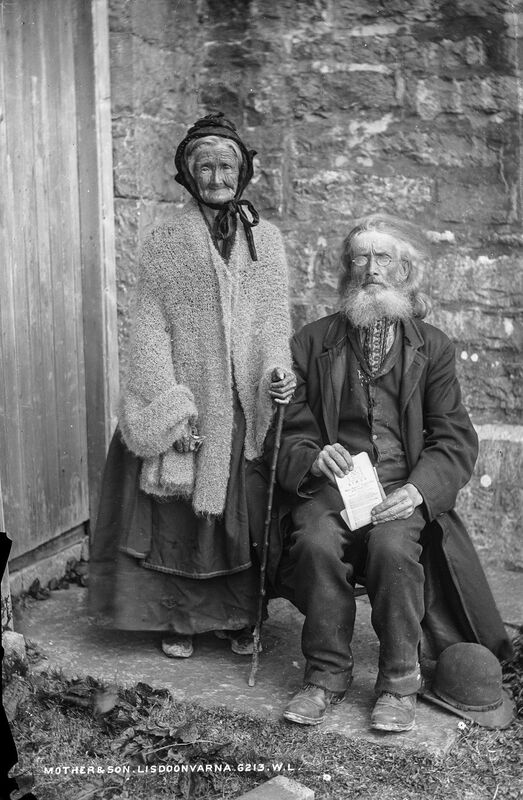 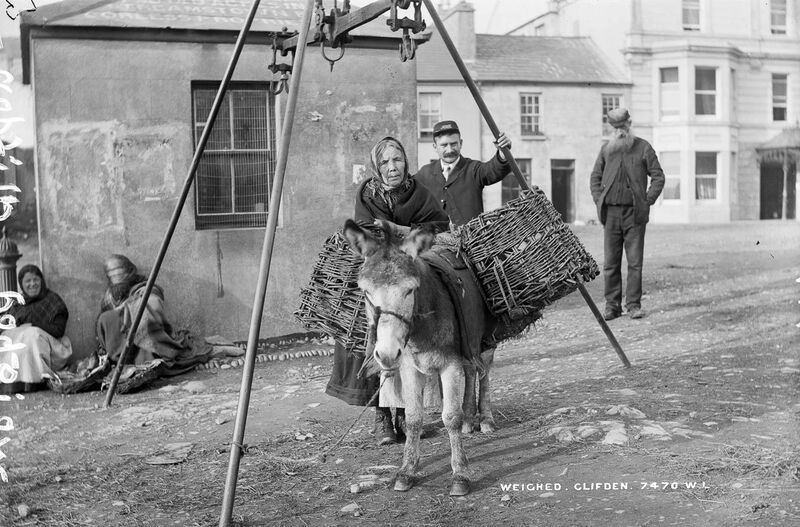 c. 1910 Fisher folk of Ardglass, County Down. 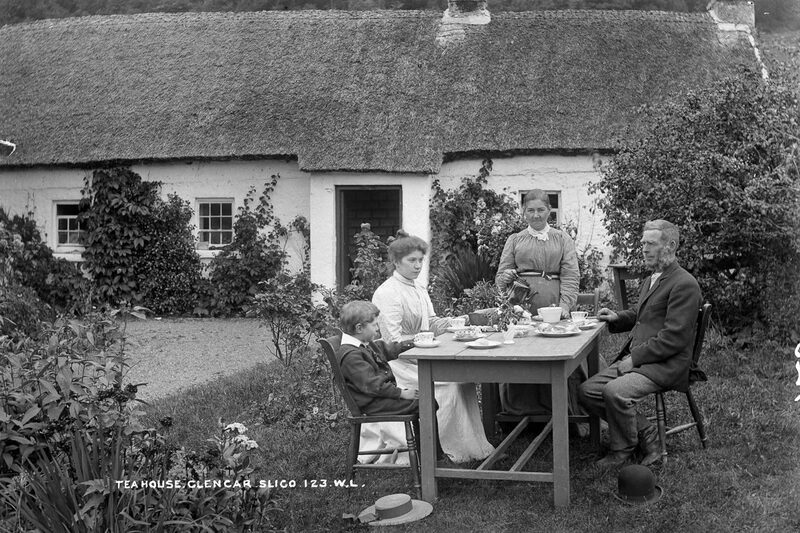 c. 1890 Glencar Tea House, County Leitrim. 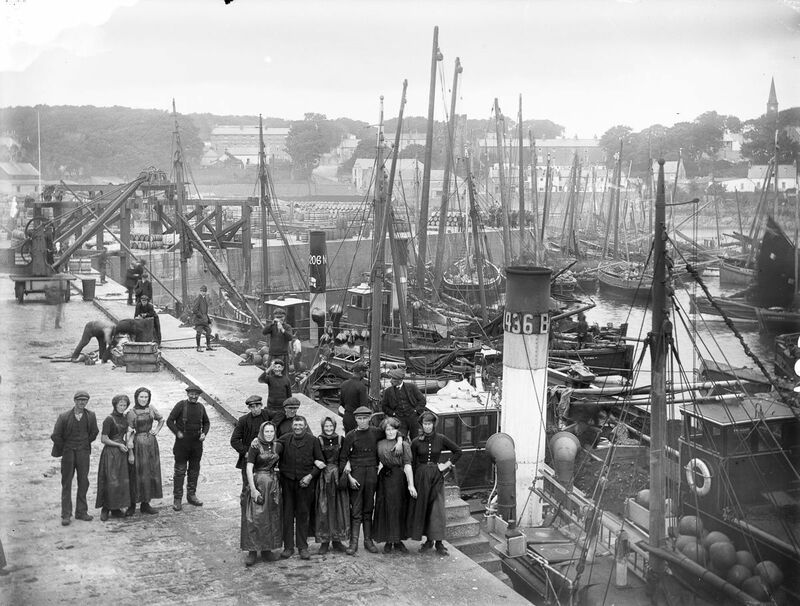 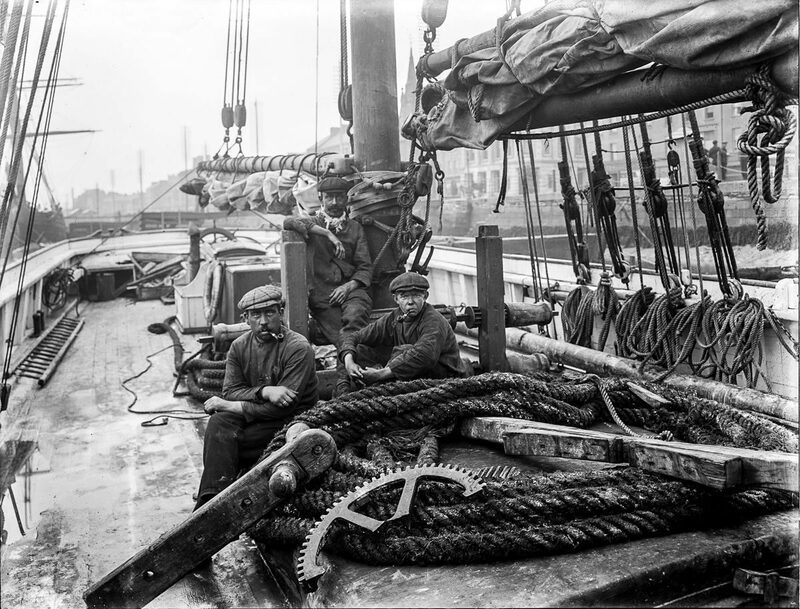 1913 Sailors on the Sarah McDonald at Waterford. 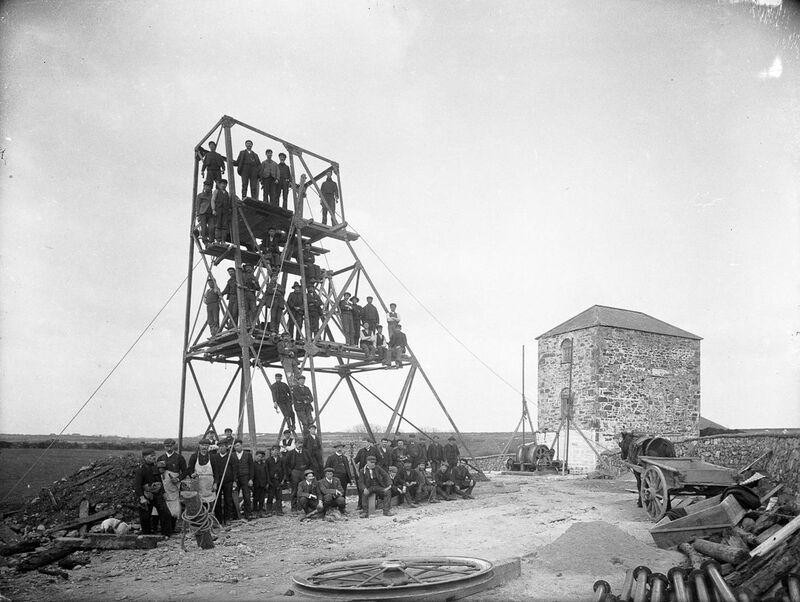 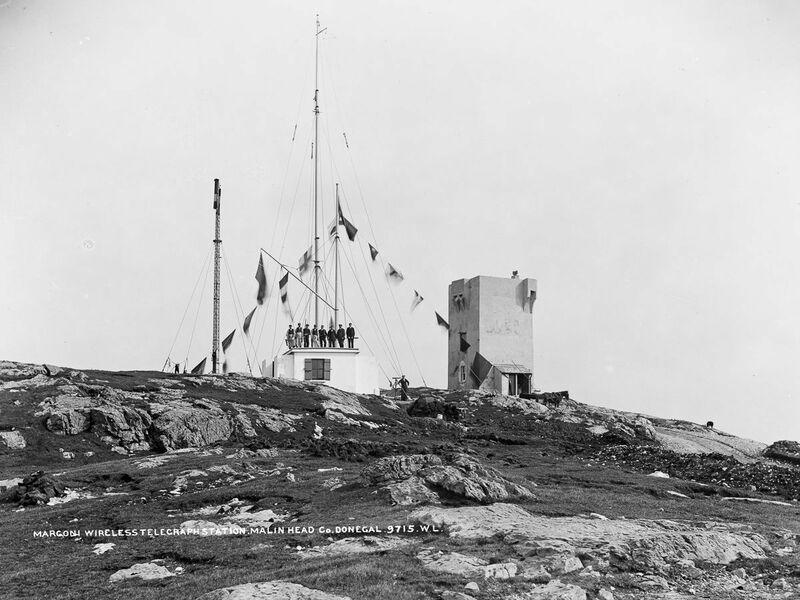 1902 Marconi Wireless Telegraph Station, Malin Head, County Donegal. 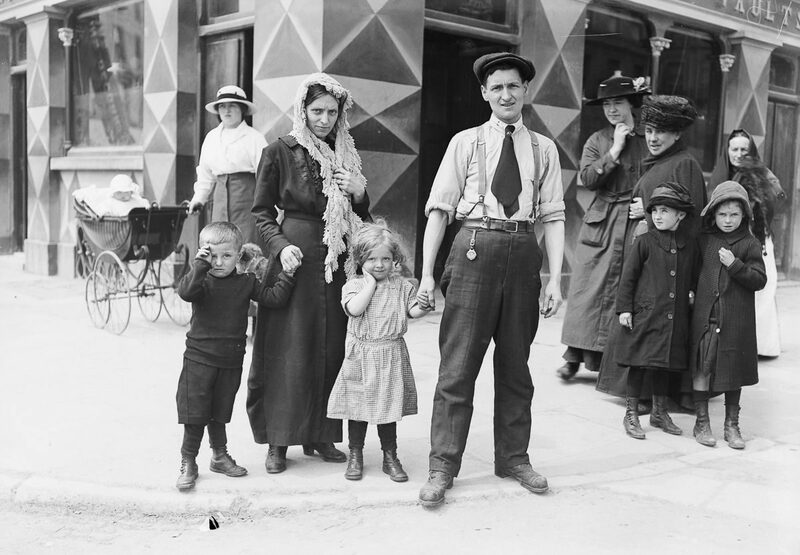 1915 The Riley family, survivors of the sinking of the Lusitania, in Cobh, County Cork. 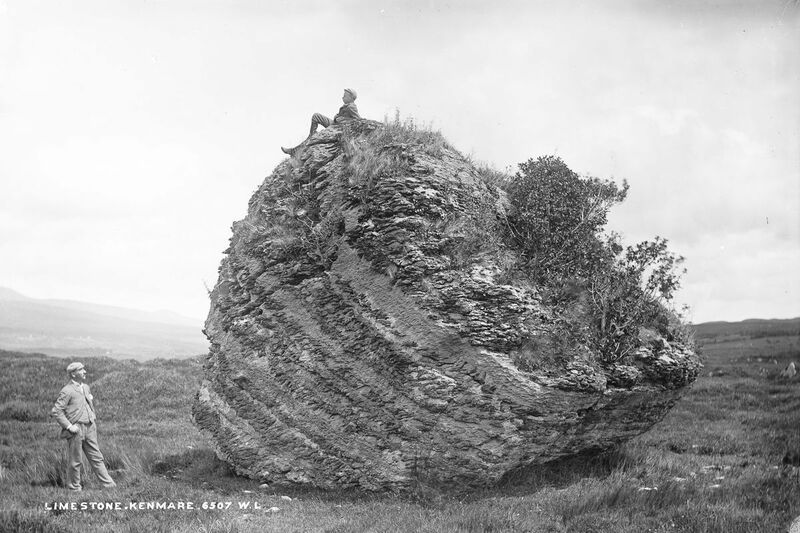 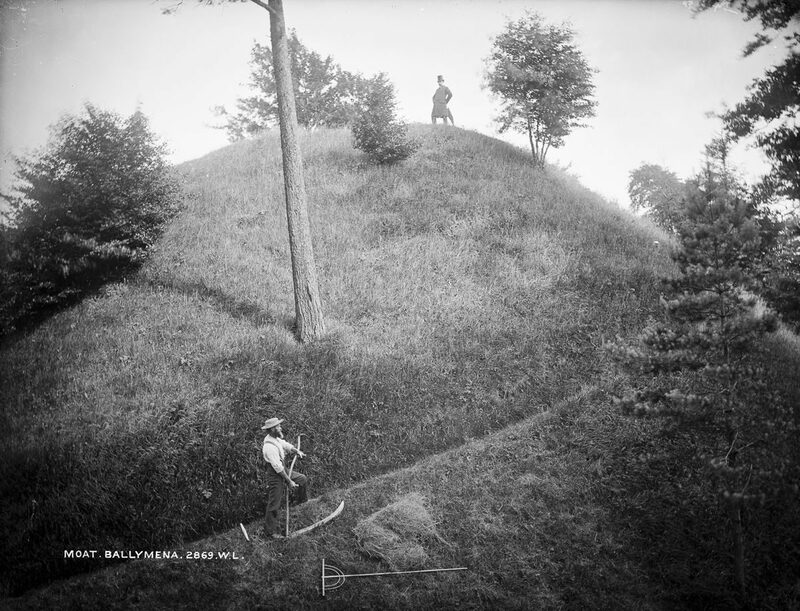 c. 1890 The Cloghvorra Stone, near Kenmare.